Before I’ve even started, this post isn’t working out the way I wanted it to! 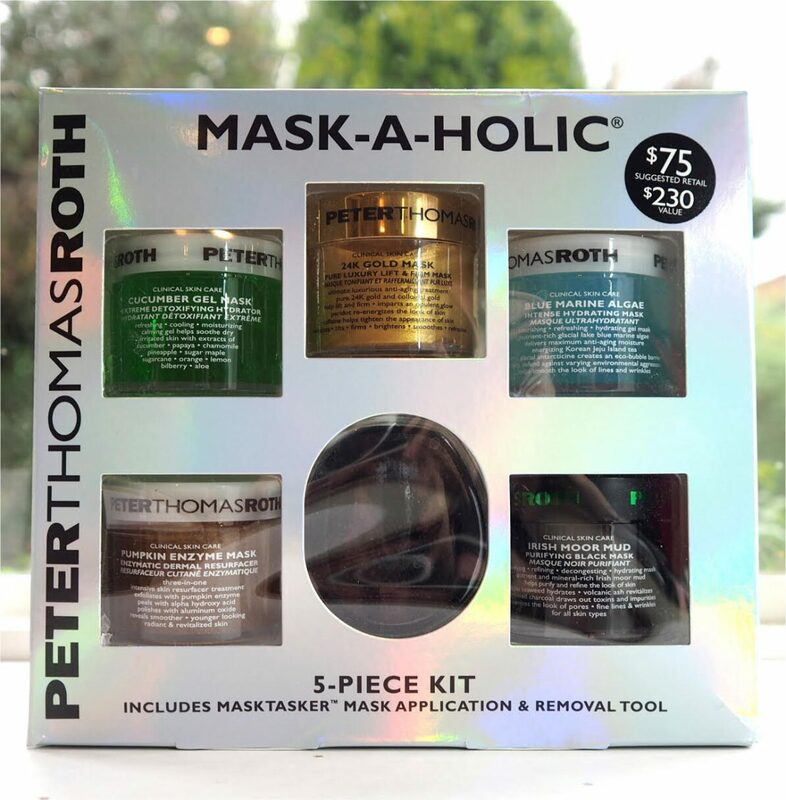 This awesome mask set from Peter Thomas Roth arrived and I was excited to tell you about it because I LOVE a PTR mask… but the one and only UK stockist has sold out. Nonetheless, there are a few PTR sets around and I can send you to the next best thing. 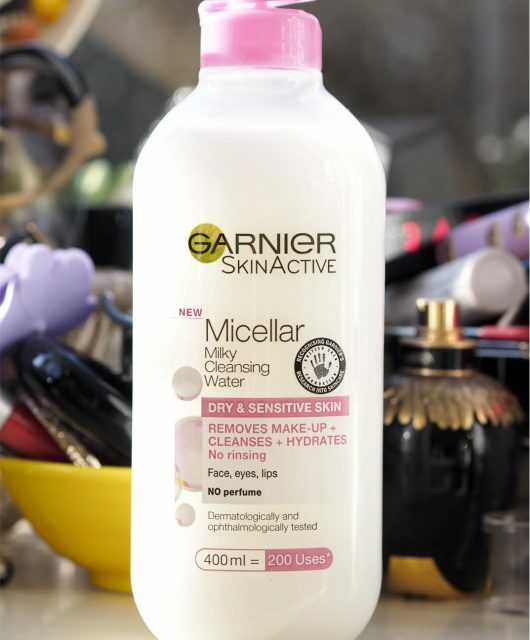 What’s interesting about this is that there is clearly something up with the PTR distribution set up – no stock, Selfridges have only one item from the brand and they used to have everything, and aside from Beauty Bay, when I do an image search, it looks like no other stockist ever had this. Plus it’s got USA pricing on it. Weird. 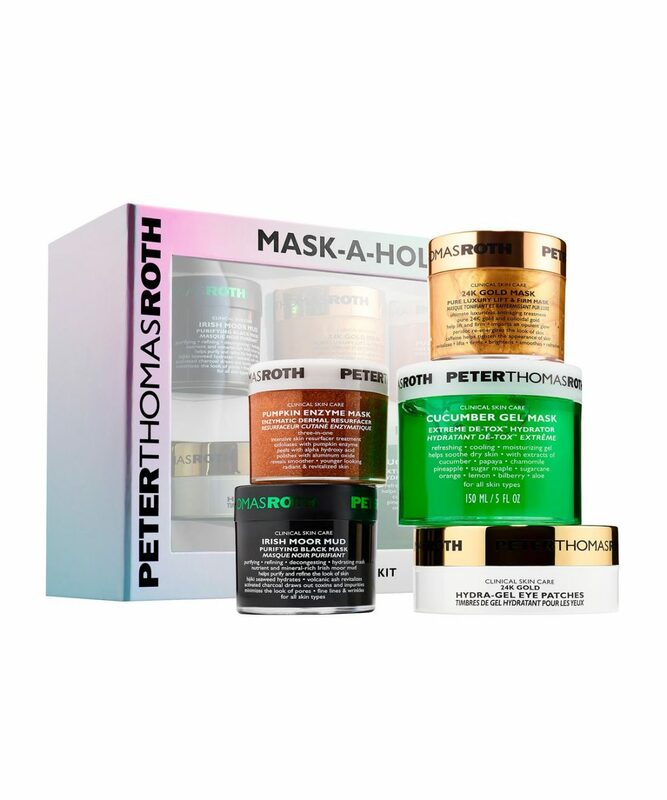 All of that aside, I’d still 100% vouch for Peter Thomas Roth masks as being some of the very best on the market. I’ve most recently used the Pumpkin Enzyme Mask which truly gives skin an exceptional clarity, and Cucumber Gel is just a fragrant, hydrating joy. 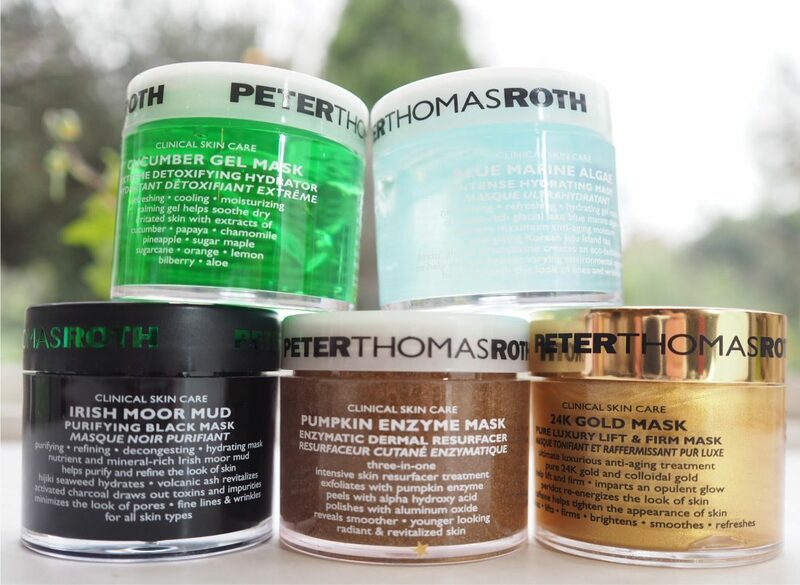 Some of the masks are a little strong – especially Pumpkin, so if you have very sensitive skin, these aren’t right for you. This set from Cult Beauty is more or less the same with the exception being the inclusion of Hydra Gel Eye Patches (I haven’t used so I can’t give a view) and the exclusion of the Blue Marine Algae. 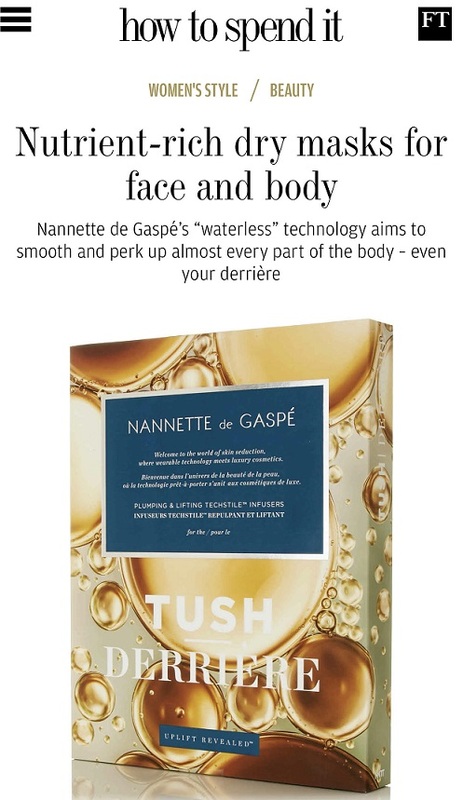 I’m thinking this is many, many skin pampering pleasures in one box and also the opportunity to take multi-masking up a level: Irish Moor over your pore hot spots and Pumpkin everywhere else for example. The Cucumber is full size at 250ml, and the others are what looks like half size, so approx 125ml. It’s £72 HERE. Actually, I used the Elemis Papaya Enzyme Peel post flight – I haven’t used it in a long while – and it’s still just as good at pepping up the complexion so I’m having a Papaya fan moment! Next up, another favourite brand for masks. 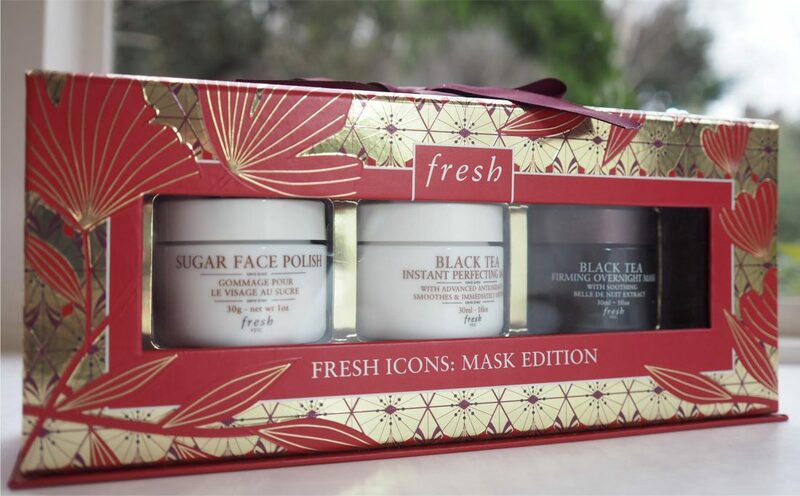 The Fresh Icons Set is £54 at John Lewis HERE and contains three 30g pots of perfection – I use both the Sugar Face Polish and the Black Tea Instant Perfecting Mask (feels like a cloud on the skin) very regularly. 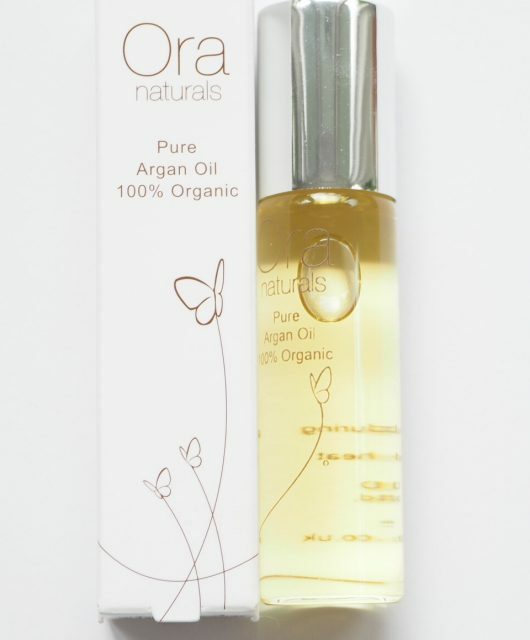 The quality is all there – Face Polish contains brown sugar, strawberry seeds, wild strawberries (mildly enzymatic) with plum seed and grapeseed oils. 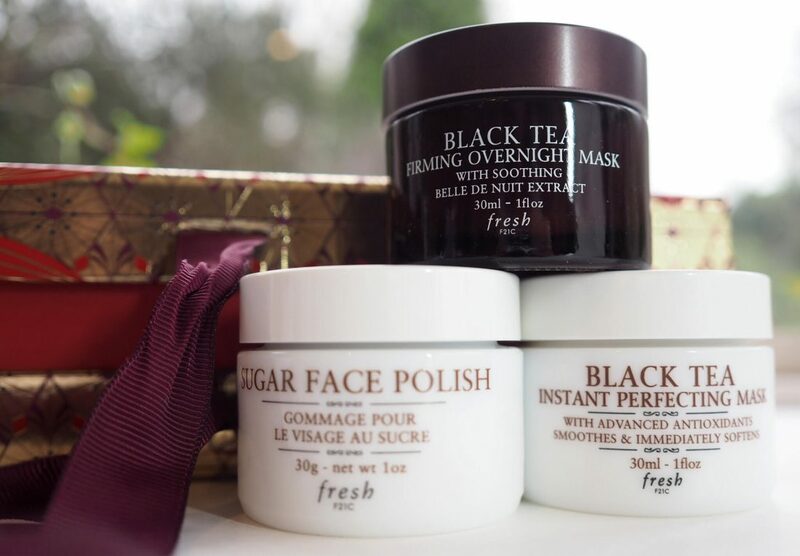 Black Tea mask leaves skin feeling cool for some reason – as well as soft: it’s a lovely mask to use before you apply a base to give it some next level evenness and glow. The only product I’m not so familiar with is the Overnight Mask but you can expect a rush of moisture (it’s basically like a rich night cream). Again, this is many me-moments in one box and based on what I know of the products I’d very much recommend as a ‘can’t go wrong’ gift. 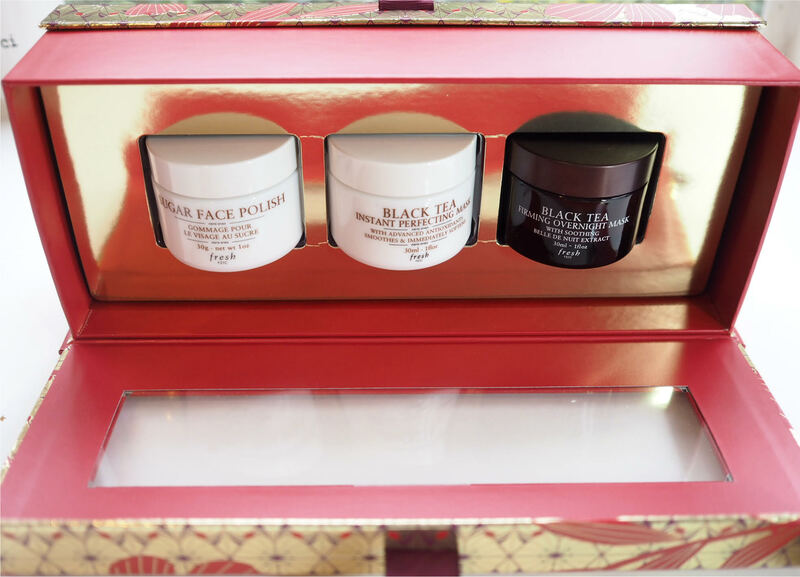 I might also add that the Fresh gift sets are some of the most beautiful and thoughtfully presented skin care gifts I’ve seen this year. 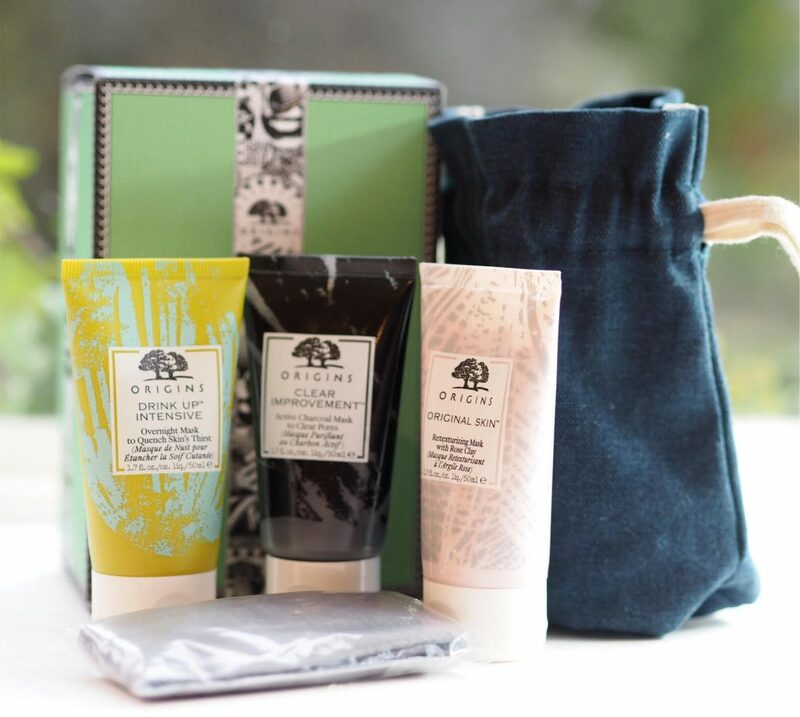 At £21.25 (on a price match at John Lewis HERE), the Origins Mix & Mask Set is such good value. It also contains a little pouch and a headband as really useful extras. 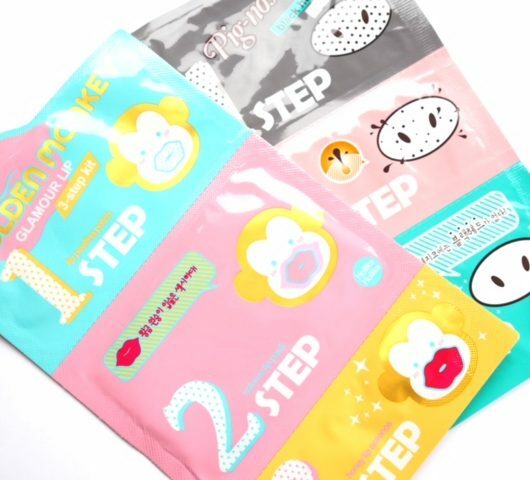 I’m very familiar with all these masks and Origins is great at masks and it’s a good edit of products so that you have a mask for all eventualities! 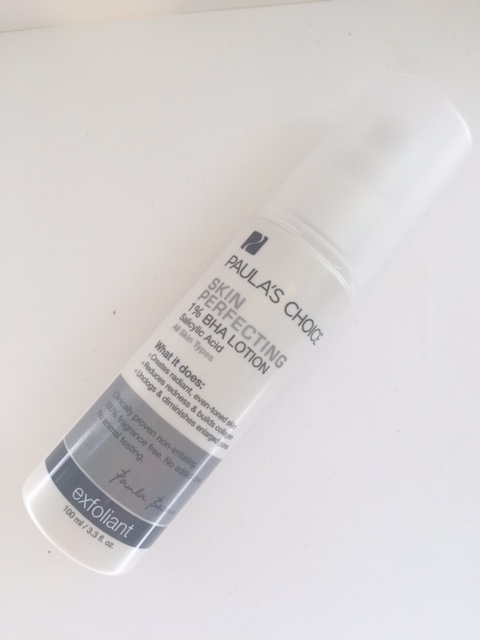 Clear Improvement is charcoal based so gives skin a decent detox (and softens like a dream), Drink Up is that huge blast of moisture that is perfect for wintery mornings to set your complexion up the cold weather. 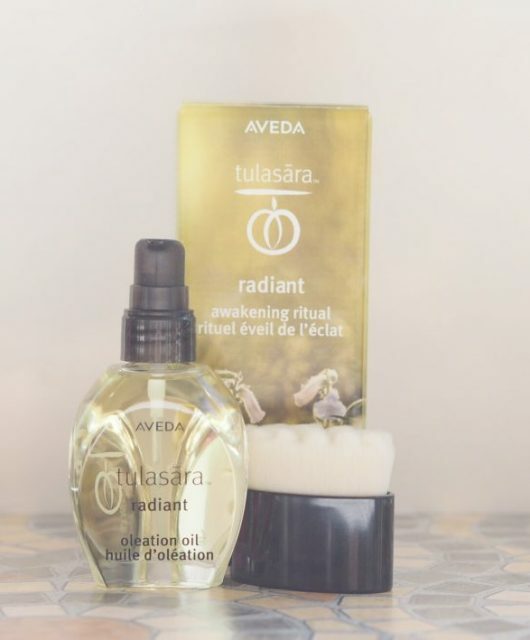 Original Skin Retexturizing is exceptional at giving skin clarity and glow especially if you’ve been working/partying hard and your skin has lost a bit of vitality. Actually, while I’ve used the John Lewis price match for the best price, do look at the Origins website HERE because they have got some incredible value sets that have got my eyes popping! Moisturise & Merry set is £38, worth £70, and Superstar Minis is £32, worth £73. I bought a similar PTR set. All same size and including a rose mask which I really adore from cult beauty. Was feeling really spendy! I haven’t tried the 24k one yet!